Summary: May 17 morning, Manager Wang of Nanjing Chengyu Machinery Co., Ltd. and his entourage came to Shandong China Transport Group, carried out negotiations on the development of e-commerce and business alliance and other related matters, China Transport Group Deputy General Manager Feng Zhenying, Li Zhenbo, Group General Manager Yan Ting and other leaders accompanied the reception, and expressed a warm welcome to Manager Wang and his entourage. May 17 morning, Manager Wang of Nanjing Chengyu Machinery Co., Ltd. and his entourage came to Shandong China Transport Group, carried out negotiations on the development of e-commerce and business alliance and other related matters, China Transport Group Deputy General Manager Feng Zhenying, Li Zhenbo, Group General Manager Yan Ting and other leaders accompanied the reception, and expressed a warm welcome to Manager Wang and his entourage. 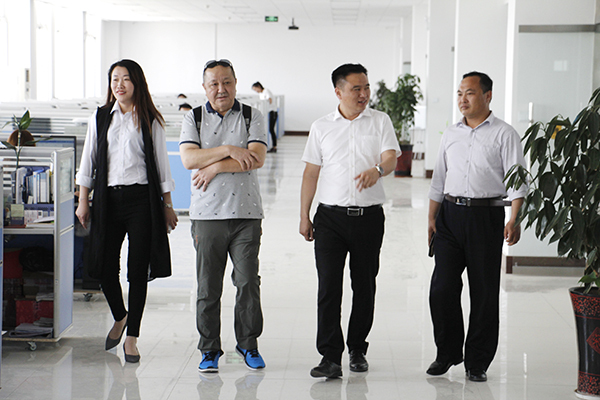 Manager Wang and his entourage visited Group E-Commerce Company, Cross-Border E-Commerce Company, Network Information Company, Software Technology Company, Weixin Agricultural Technology Company and intelligent equipment manufacturing workshop, accompanied by General Manager Li who gave them detailed introduction of development achievements of China Transport Group in various fields such as e-commerce, cross-border e-commerce, large data platform construction, software development, intelligent machinery manufacturing and unmanned aerial vehicles, and highlighted the success experiences on Group's e-commerce platform operation. Through the visit, Manager Wang and his entourage get better understood of our Group's e-commerce sales model and gave a high degree of evaluation and recognition, he said, Shandong China Transport Group that a company developed from the traditional industrial enterprise to largest and leading e-commerce enterprise of machinery industry in Shandong Province, establish a benchmark for national industrial enterprises in the transformation of information technology, the successful transition experiences are worth each of our traditional enterprises to learn. 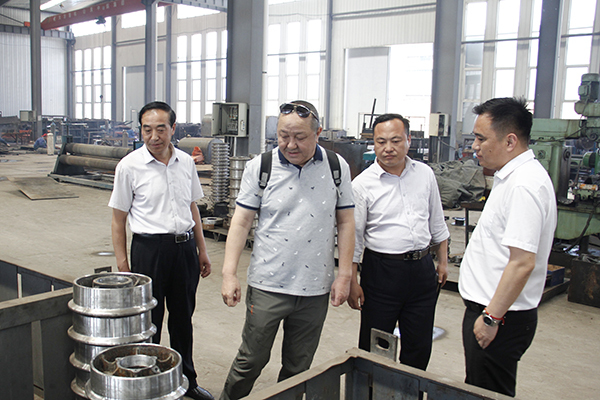 Our trip is not only to visit and study, but also hope to strengthen depth of cooperation in product and equipment sales, trade exports, industrial integration, power platform construction and other aspects with China Transport Group, the two sides through the advantages of complementary, powerful combination, better to achieve a win-win business development! Manager Feng said that very grateful to the high degree recognition on the development of China Transport Group. In recent years, Shandong China Transport Group through the active integration of resources, has achieved long-term strategic cooperation alliance with hundreds of well-known domestic large-scale manufacturing enterprises, the established Shandong China Transport Group Joint Manufacturing Company, through cooperative research and development, resource sharing, complementary advantages, strengthen combination, to achieve a win-win situation for both enterprises! The next step, we are willing to work together with more industrial manufacturers to explore the new development ways of e-commerce business in Internet + era, to broaden the channels of cooperation, enhance the level of cooperation, research and develop more high-quality, high-tech products for the country. To make more positive contributions to the development of industrial enterprises! Warmly welcome more domestic and foreign merchants to visit China Transport Group for cooperation, and seek common development!